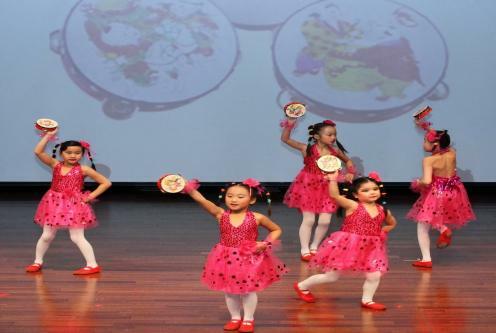 Sign up for Chinese language, art, and dance classes! on UNL and UNO campuses. Classes start in January so sign up today! 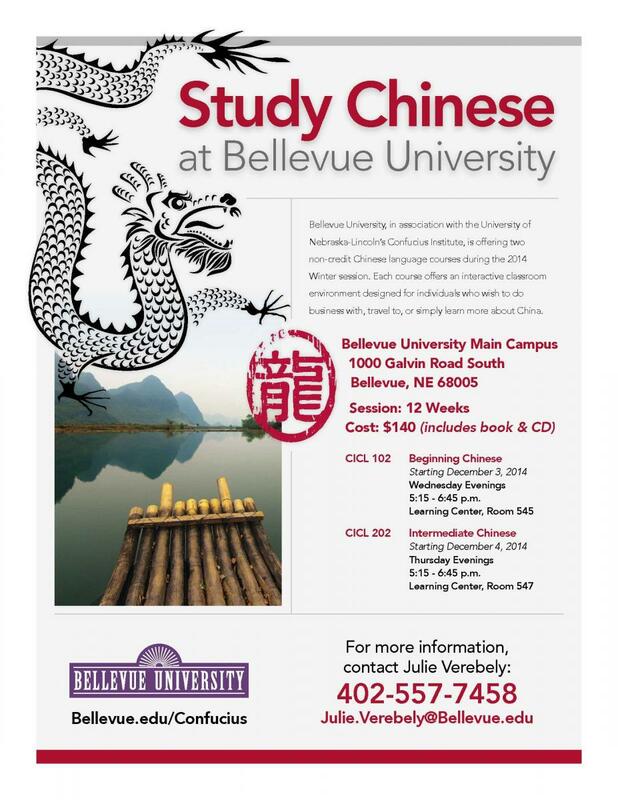 Enroll in Beginning Chinese or Intermediate Chinese offered through Bellevue University. arystrom2@unl.edu and ask to be added to the list! 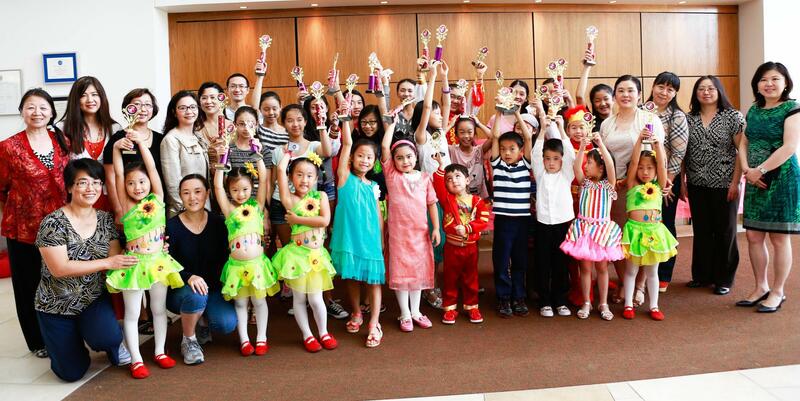 Practice your Chinese language skills and make new friends! 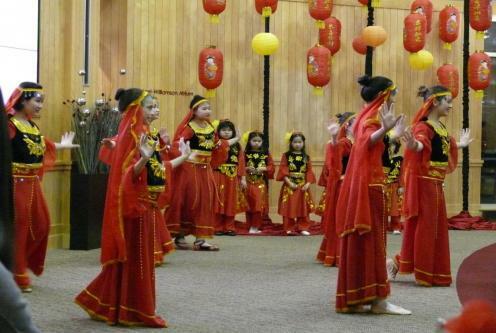 Learn about Chinese language and culture! 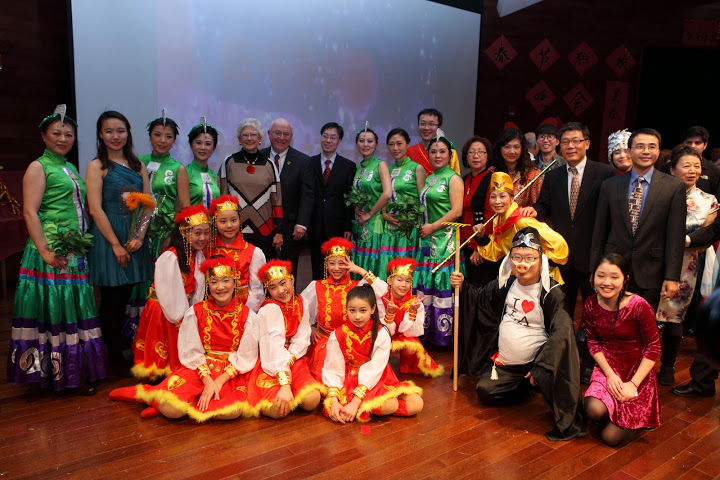 Confucius Institute celebrated Chinese New Year and Chancellor Harvey Perlman's 2013 Confucius Institute Individual Performance Excellence Award with a New Year Reception. 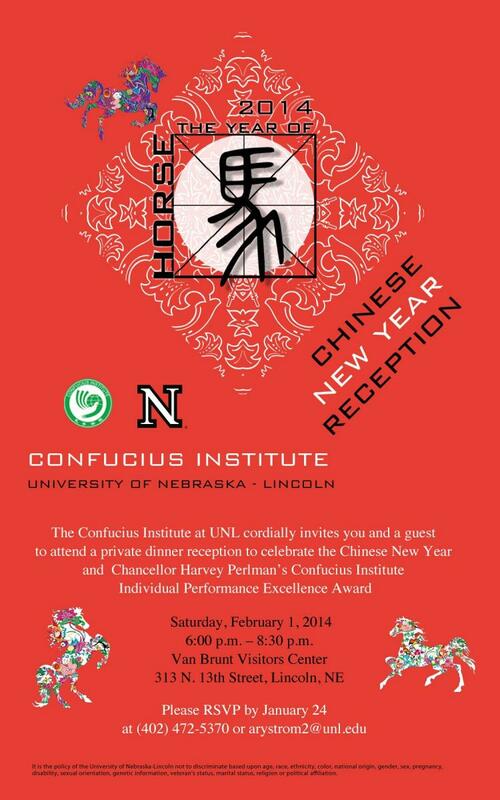 This beautiful invitation warmly invited UNL colleagues to join Confucius Institute staff at the New Year Reception to celebrate the New Year and Chancellor Perlman's Individual Excellence Award. 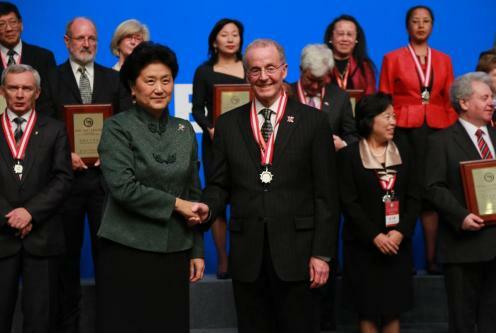 Chancellor Harvey Perlman receives the 2013 Confucius Institute Individual Excellence Award. He is shown here shaking hands with Liu Yandong, who is the Vice Premier of State Council of the People's Republic of China. 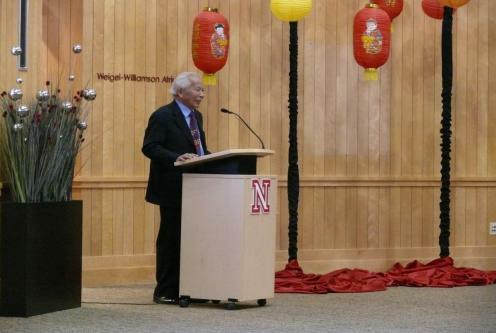 Confucius Institute Director Dr. David Lou speaks at the New Year Reception. UNL Chancellor Harvey Perlman speaks at the New Year Reception. 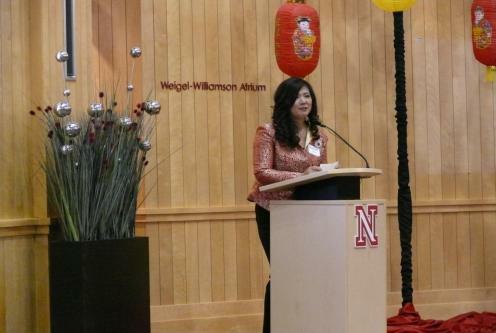 Confucius Institute Executive Associate Director Rachel Zeng introduces the evening's programs. 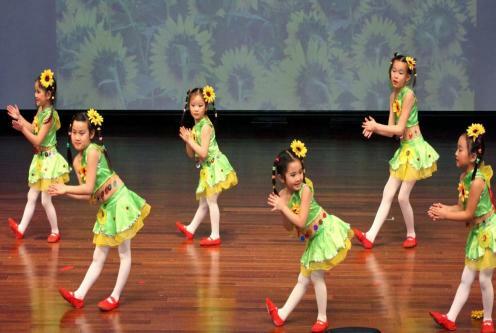 Young dancers from one of CI's dance classes entertain guests at the Reception. Older dancers from the other CI Sunday dance class perform at the Reception. One of the evening's highlights came when CI teacher Autumn Xu sang a duet with Kevin Hanrahan, Associate Professor from UNL School of Music. Other teachers from CI joined in on the song also. 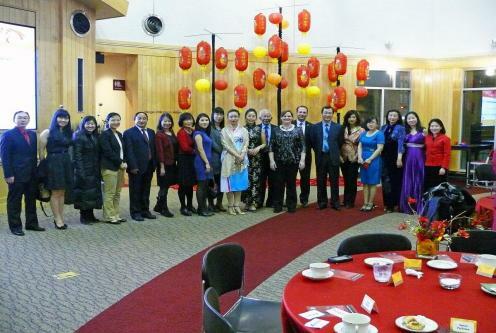 Confucius Institute staff gathered for a picture at the close of the evening. 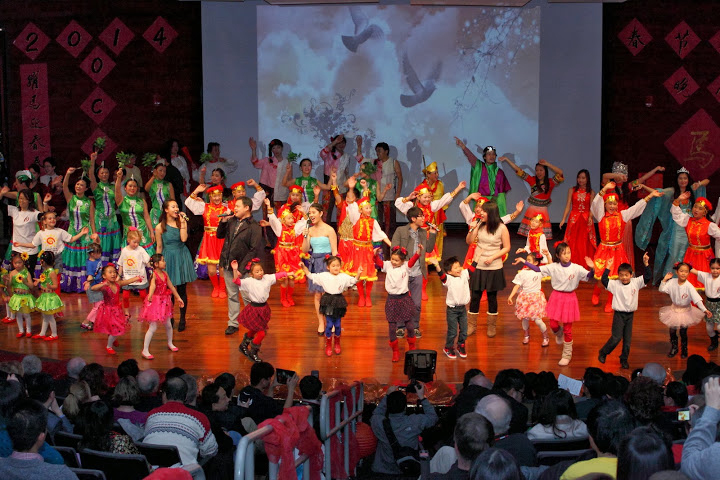 The Omaha Chinese Culture Association also celebrated Chinese New Year with a Gala showcasing the talents of many local youth and adults. 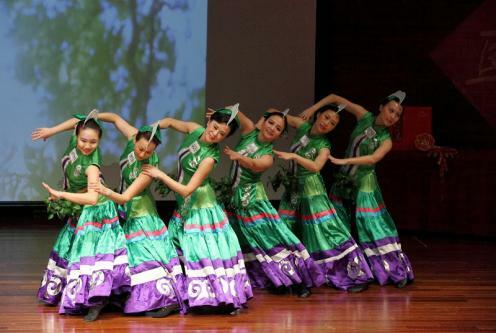 Confucius Institute is proud to co-sponsor this event annually. 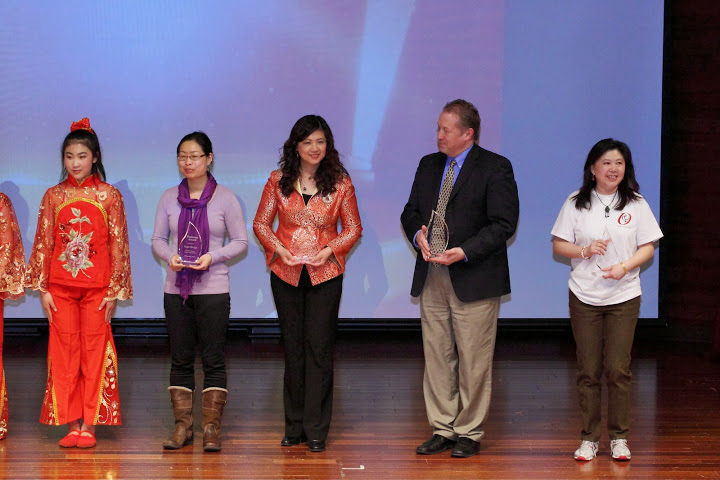 Associate Executive Director Rachel Zeng (center in red) accepts the Platinum Award on behalf of Confucius Institute during the New Year Gala. at the New Year Gala. Dancers from one of the C.I. 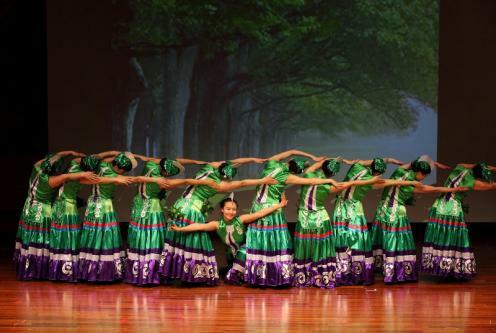 dance classes perform at the New Year Gala. 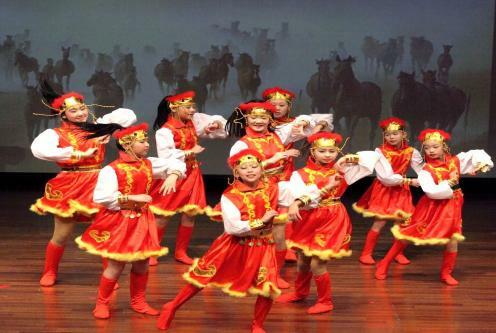 Dancers from a C.I. 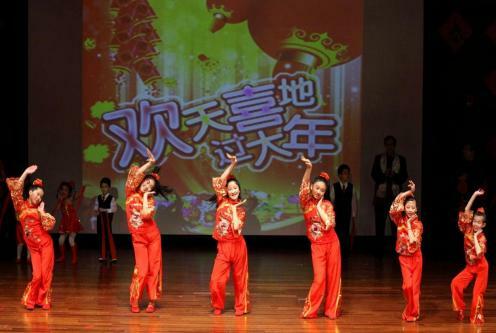 dance class entertain the crowd at the New Year Gala. 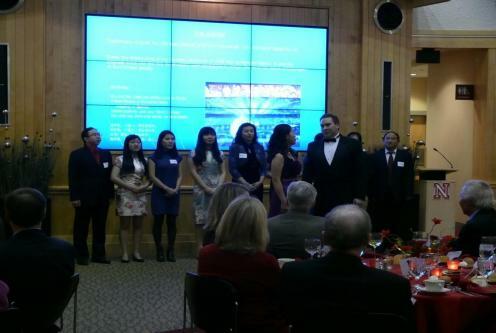 with others at the New Year Gala. 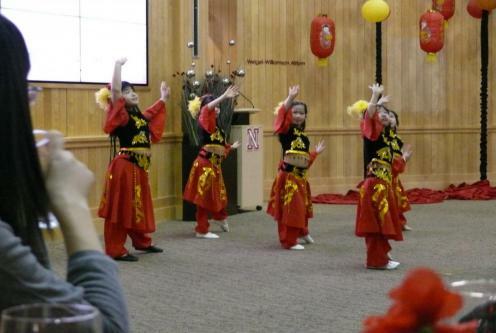 Dance students from Confucius Institute entertain the crowd at the Gala. 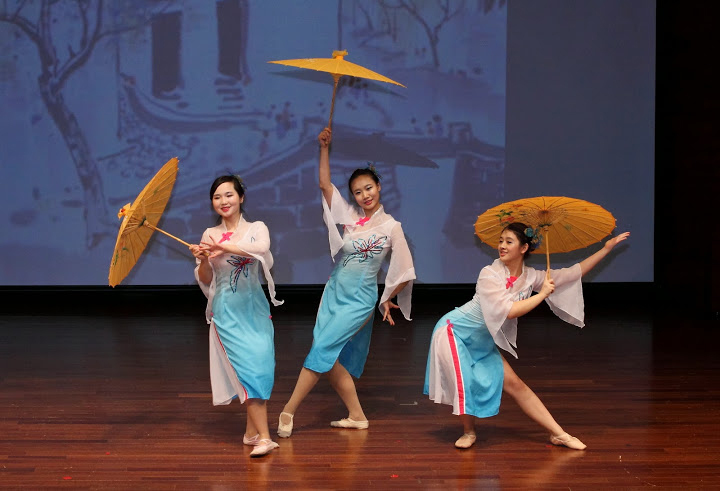 Confucius Institute dance teacher Lancy Fan, former dance teacher Yi Liu, and CI dance student Alicia Zeng perform at the Gala. The performers gather on-stage to thank everyone for coming.